With Batman v Superman: Dawn of Justice deep into post production and just a little over six months away from hitting movie screens, more details are emerging. The latest hot rumor I am hearing is that Warners is requesting more Batman be put into the movie and less Superman. 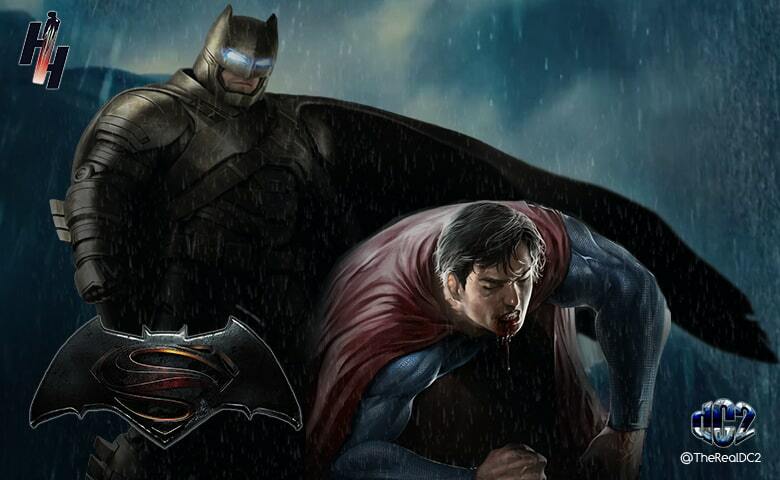 Supposedly, Ben Affleck’s Batman is so good that he is blowing Henry Cavill’s Superman right off the screen. Like it or not, Batman has become the crown jewel of the DC Universe. Look at what is going in the video-game space with the Arkham series, or the fast-tracked Batman Lego movie spin off. Let alone the upcoming Suicide Squad is all Batman villains/characters. It is apparent how much more valuable the Dark Knight currently is than Superman. With Ben Affleck riding high off of Argo and Gone Girl, he is one of the biggest movie stars on the planet. So it only makes sense Warners would want more of the potent combination of him and the Batman. The studio has already ordered a standalone Batman film that Affleck will direct. Remember, Affleck’s production company is based on the Warner lot and it was Argo screenwriter Chris Terrio who came onboard Batman v Superman after Affleck did to heavily rewrite David Goyer. Jesse Eisenberg, who plays Lex Luthor in the film, can’t seem to stop praising how good the script it. Meanwhile, Henry Cavill just starred in Warner’s costly misfire The Man From U.N.C.L.E. Now, that doesn’t mean they’re not fast tracking a Superman movie but it is pretty clear that Batman coupled with Affleck has become the lynchpin of the DCEU.